About a year ago we made a commitment to provide console players a faithful and worthy version of KSP on consoles, and to realize this endeavour, we teamed up with the experienced team of BlitWorks, who helped us to build it from the ground up. After a long and difficult process, we are finally here, excited and proud to officially announce the launch of Kerbal Space Program Enhanced Edition on both Xbox One and PlayStation 4. In Kerbal Space Program Enhanced Edition, you’ll find a broad range of improvements and features that improve the overall game experience from the prior console version. We have also added reworked and console-optimized UI, a new control scheme for the maneuver nodes controls, and three new controller presets that players will be able to switch between at any time during play: Cursor, Radial and Simplified. Returning KSP players on consoles might be used to the previous control scheme, so the Cursor preset keeps things familiar for veteran players while adding a few enhancements as well. We also wanted to revamp the Cursor preset by making a lot of low-priority or low-usage commands available on radial menus, instead of requiring the player to do a lot of cursor-mode pointing and clicking. So the Radial preset uses a lot of actions of the Cursor preset while incorporating radial menus that speed up the access to different commands. We also created the Simplified preset, an entirely new control scheme designed to be easier to pick up and play with a controller. With this control scheme, the cursor has been replaced with a reticle in the middle of the screen; players can move the screen behind the reticle, rather than moving the reticle itself. 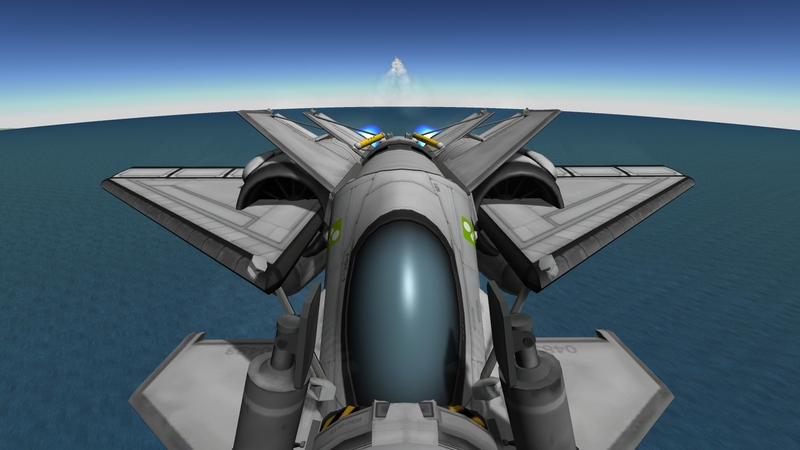 We think console players who are new to KSP will especially enjoy the Simplified preset. We’ve added communication network capabilities to the Antenna and Probe parts throughout the game to simulate the feeling of building your communications network from home base out to your Kerbals as they travel their star system. With the KerbNet capabilities on more advanced probes you can map your environment and place targets for travel as well. The SAS system got a much-needed overhaul in this update to help keep you pointed in the right direction, and the fuel flow system was rewritten to give you total control over feeding your engines. There are a number of other improvements and changes compared to the prior console version. For instance, contracts are now bound to player progression and are assigned based on in-game actions, and wheels stability and performance have been improved as well. And if you are an owner of the previous console version, we want to remind you that you can redeem the Enhanced Edition free of cost. Just follow these instructions. KSP Enhanced Edition will appear on your library as a separate game and no data will be overwritten from the older versions, so you won’t lose your progress in those versions. However, because the Enhanced Edition was built from the ground up, save files from the previous version will not be compatible with the new Enhanced Edition. But that does mean you’ll be able to get those trophies and achievements a second time! Remember that if you encounter any bugs and/or issues, you can help us out by reporting them in the Console Project within our Bugtracker and/or the Technical Support Thread for consoles in our Forum. This will help us with any future patches for the game. As with every release this thread will be used to bundle all general discussion about the new version so that the forums can continue to actively host threads on other topics as well. Click here for the official release announcement for Kerbal Space Program Enhanced Edition. With regards to xbox one - how do you open/access the debug toolbar (menu)? Good luck to all you console folk, you'll need it. Remember it's called rocket science for a reason. We want players to figure that out for themselves. It is a reference to the third generation of video game consoles and you access it from the Pause Menu. Is there a demo (Xbox One)? I'd still baffled on how to play this game on a console and would like to try it out. Loving everything so far! One question though, can't figure out how to pan the camera in the VAB up and down? I can zoom in and out, but in the old version you could move the camera up and down relative to your rocket. Using the radial controls. Yes, I have a PS4 and I'd be interested to try a console demo too! There are no extensions for ps4 pro. The game runs just as good on both versions. There is no demo for KSP Enhanced Edition, however we are working on a demo for PC. So far, I love this new port you guys popped out, I've only made 1 plane with it, but I like it... It's been a learning curve trying to learn the new editor control schemes, but they make (enough) sense for me. The new in-flight action menu's are kind of cool. I only had one major complaint, which was that I spent a good 5 minutes trying to figure out how to save or launch a ship without having those little markers at the top of my UI. Also, thank you guys, getting this for free, since I already owned the FTE port, I love the fact you guys did that. I am a PC player but is there a x button? Or is it a button on the controller that you have to press? 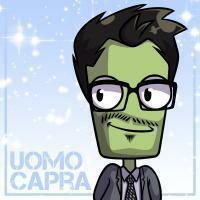 @UomoCapra. @UomoCapra Love the vagueness of the update even though I’ll probably spend the next 2 hours finding the debug menu. Thanks to SQUAD and Blitworks! Having only played the old pc demo on a run down laptop (hence why I didn't get the full game) have to say I'm really enjoying it all so far on PS4. Looking forward to a day off tomorrow to get stuck into it. Sorry, I couldn’t find the bug tracker but in the new port if you hit save and exit on settings and you didn’t change anything the game freezes. Have you tried using the joysticks in combination with the Left and Right Bumpers while on Map Mode? Make sure the cursor is not on. Buttons have different behavior if the cursor is on or off. Anyone find the debug menu yet? is there a way to make fine adjustments when doing this?